19th Annual Soul Beach Music Festival in Aruba | May 22nd-27th, 2019 - TheUrbanMusicScene.com | Concerts & Festivals! John Legend’s work has garnered him an Emmy Award, Grammy Awards, an Academy Award (Oscar), a Golden Globe Award, and a Tony Award, making him the youngest ever to achieve EGOT status, among other multiple awards. Throughout his career, Legend has worked to make a difference in the lives of others noted with the Show Me Campaign (ShowMeCampaign.org), an initiative he launched (one of many humanitarian efforts graced with his passion) that focuses on education as a key to break the cycle of poverty. Ella Mai, Executive produced by Mustard for 10 Summers/Interscope Records, had a great first week landing at #5 on Billboard’s Top 200 chart with over 69K in equivalent album units in 2017. It is a testament to the years of training and hard work she put in since she was a little girl belting out show tunes. Fast-forward to 2018, her breakthrough single “Boo’d Up” went quadruple-platinum and recently made history as the longest running #1 by a woman on the Billboard R&B/Hip-Hop Airplay chart. The follow up “Trip” broke into the Top 20 of the Billboard Hot 100 and is certified gold. Both songs are included on the new album. With its sheer level of remarkable talent, the 19th Annual Soul Beach Music Festival Hosted by Aruba is sure to mesmerize festival goers. 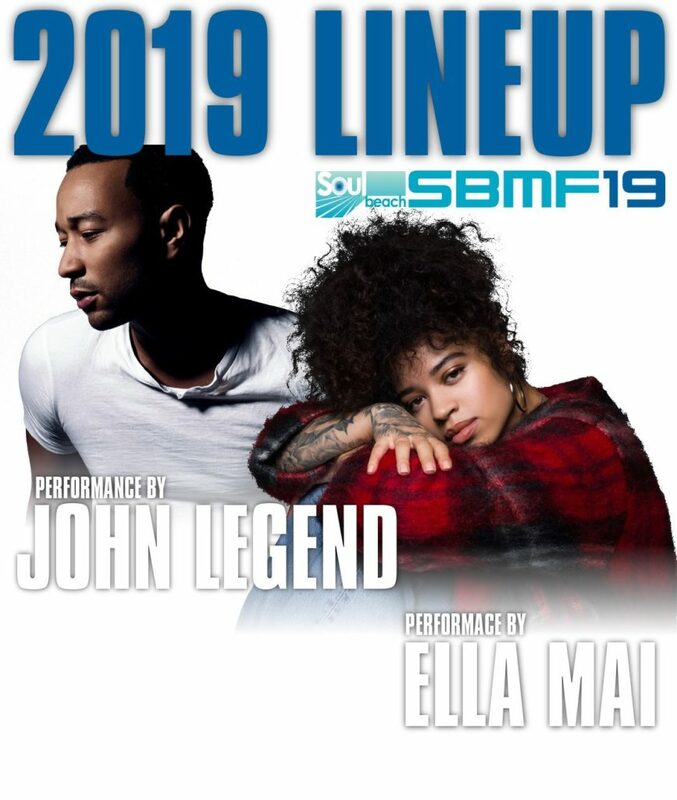 “We are super excited to announce the brilliant John Legend’s 1st performance in Aruba as 2019’s Sunday Night headliner. We are also thrilled to feature the sensational chart-topping talent of Ella Mai. Get ready a weekend of priceless memories with this soul-stirring combination,” said Mark Adkins, Executive Producer of Soul Beach Festival Productions. As one of the most revisited destinations in the Caribbean, Aruba—One Happy Island—is an island of contradictions, where pristine turquoise waters collide against the desert-like terrain of the north shore; where peace and relaxation coexist with wild and rugged adventures; where Dutch influence meets American ease; and where a diverse history parallels a bright future. Nestled in the southern Caribbean outside the fringes of the hurricane belt, the island is just a two-and-a-half-hour flight from Miami, and a four-hour flight from New York City and boasts year-round cooling trade winds with an average 82-degree temperature. Aruba offers beach-lovers, adrenaline junkies, relaxation-seekers, and everyone in between a slice of paradise with breathtaking beaches, a booming culinary scene of over 300 restaurants with 25+ located ideally on the water, world-famous festivals and events, exciting land and water activities, art galleries and museums, sumptuous spas, championship golf, exclusive shopping, and signature experiences such as cooling off in Conchi, Aruba’s natural pool—accessible only by foot or off-road vehicle. With all-inclusive options, boutique properties in charming Eagle Beach, high-rise branded resorts in Palm Beach, and cosmopolitan city hotels in Oranjestad, the island of contradictions provides the perfect getaway for both first-time guests and loyal visitors. As the most “digitally-savvy destination in the Caribbean” and recipient of numerous Adrian awards, including a Platinum in 2015, Aruba has long been recognized as a leader in innovation and creativity. Engage with Aruba on Instagram via @arubatourism and on Twitter via @aruba.